Register for a live webinar to learn the ins-and-outs of using Xtensio. 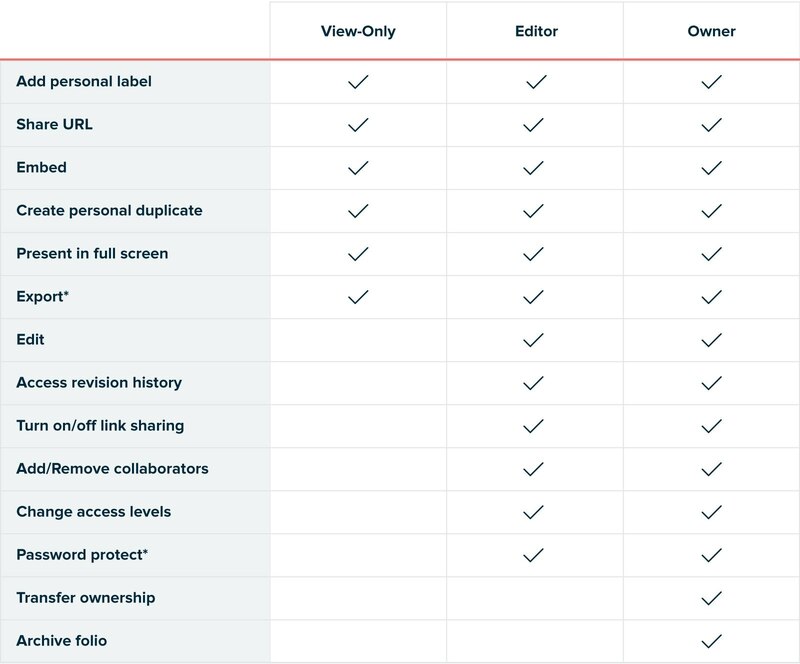 Switch collaborators’ access between view only and edit to control what others can do on your folio. As the owner of a folio on the Pro or Business plan, you can select the level of access collaborators have on your folio via the ‘Add People’ link at the top of your folio. You can adjust these settings at any time. Learn more about the collaboration feature.